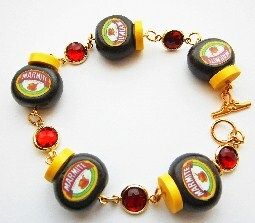 Glamorous Marmite gemstone bracelet made in five luxurious colours. Crafted from non-toxic polymer clay and varnished. 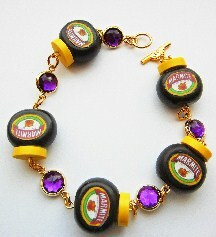 Depending on the wrist size you choose you may receive more Marmite Jars then the one shown in the picture. 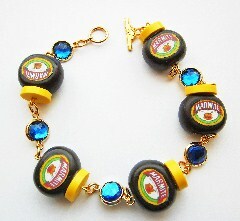 Gold plated bracelet with clasp. Bracelet length is 7.5in. Other size options are available. Silver plated option is also available.